One of my favorite things to do year-round is a delight in all the hard work I’ve put into my yard and garden, weather permitting, and take every opportunity I can get to sit back and relax or entertain around a firepit. Which is the next thing to impossible after a mosquito hatch? But relief is on the horizon! Read on for a list of the best plants that repel mosquitoes whether you plant them amongst your garden, or use them dried, crushed, or hung for effectiveness. Perennial plants that help repel mosquitoes seem too good to be true, but they aren’t- and if planted with an eye towards placement in both garden beds and porch planters, you have a great start to keeping those pesky mosquitoes far away. Containing cinnamate, the chemical that gives cinnamon its flavor, this variety of basil brings you the best of both worlds. 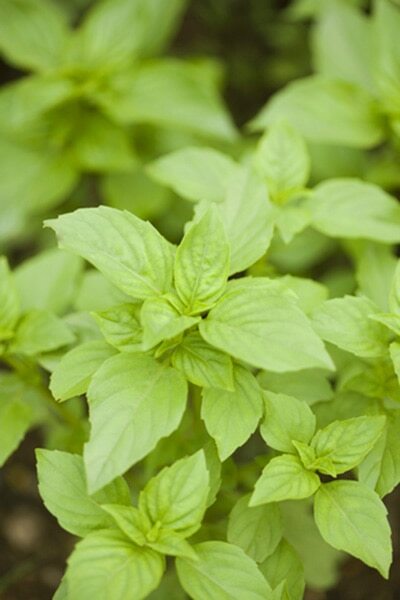 Although regular basil will aid in repelling mosquitoes, this particular plant is worth having for its multitude of uses. Used in a vegetable patch, it repels many insects and enhances the flavor of nearby fruits, especially tomatoes. It also helps keep bugs away from roses. Whether planted nearby, or freshly cut and placed strategically, it helps keep that pesky whine of awful winged bugs away from your yard space, will stop flies from landing on food, and tastes great in many beverages! Technically an annual, this plant will reseed itself in warmer growing climates if allowed and come back year after year- but is incredibly easy to cultivate indoors as well and can be kept alive year round if taken in before temps drop below 40 Degrees Fahrenheit. You’ll only be able to grow this mid-size tree in USDA zones 9b-12, but depending on the cultivation, it may also be grown in large pots and moved indoors during inclement weather. The awesome news is, if you aren’t interested in growing the plant, clove buds and oil themselves are easily found in stores and can be used to help with your mosquito problem as well since it is the smell that repels the insects. This Asian native tree is an evergreen, and adds interest year round as long as temps don’t drop below freezing (although it can survive occasional frosts), and thrives in humid environments. The first 3-4 years requires consistent soil moisture for good root establishment and should begin to flower in about 6 years, although full harvesting capacity can take up to 15 years. 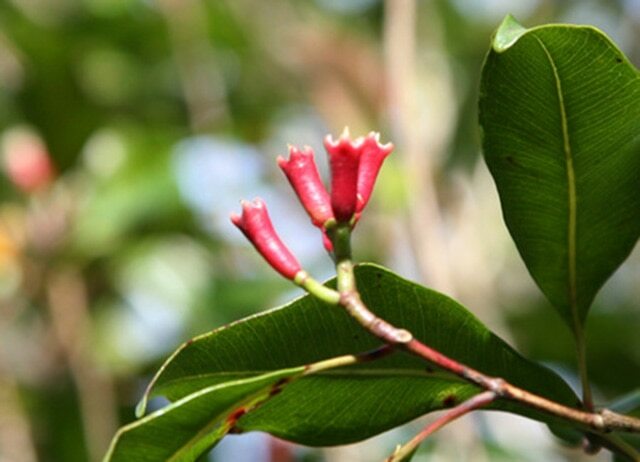 The cloves you buy in a store are actually the flower buds taken before bloom and dried. They have many uses due to their astringent properties, aromatics, and flavor, and so it’s well worth the plant enthusiast to take on the challenge of growing their own plant. Both dried buds, as well as well as living plants, exude the famous clove scent that repels a variety of insects. Think about keeping this little beauty in a container, as once it’s established can take on a life of its own! Mine has it’s own spot to go crazy in, but is hedged in by cement slabs so it doesn’t take over the rest of the herbs planted nearby. Popular due to its many health benefits and lemon scent, this is one plant that is useful in more than one way in your garden beds and well worth taking the time to cut back if it tends to proliferate. 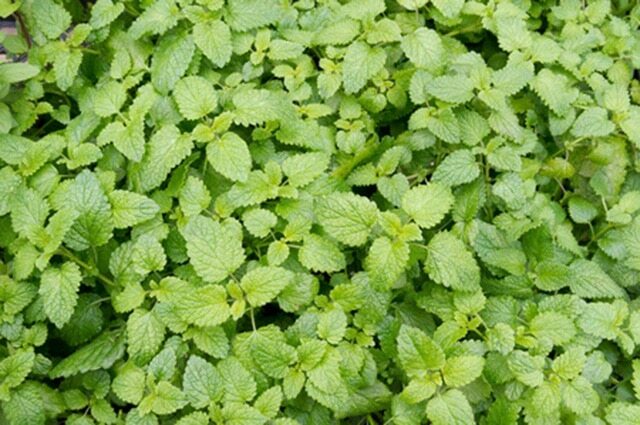 Used fresh, dried, or pressed for oil, lemon balm will help repel mosquitoes no matter how you decide to use it. Plus, it’s a long list of added perks is worth considering having around. 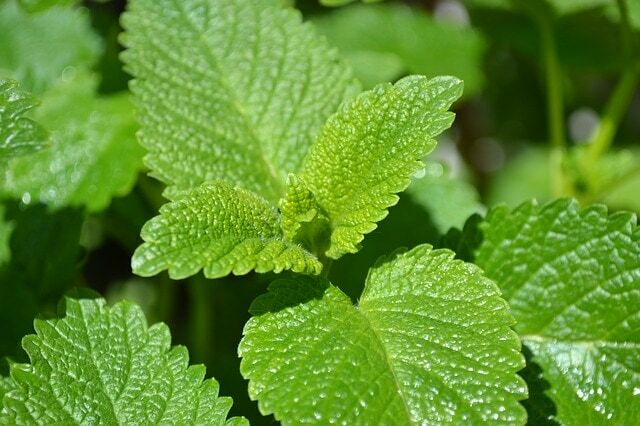 Used in the Western world as far back as the early middle-ages, lemon balm can be used as a natural sleep aid, stress-reducer, digestive aid, and as a mild astringent on top of repelling insects. Considered non-toxic and non-irritant, many people enjoy the leaves of this plant in their teas, as well as a topical oil. Although, because of its sedative like properties, consulting a doctor concerning drug interactions is a responsible choice. Evergreen in most climates, this woody shrub call grow to heights of 3-4 feet and 5 feet wide, so be sure to plant it in an area where it can have some space! It also does well in large planters and is a sun lover, so place it in a southern direction so it can receive the light it craves. 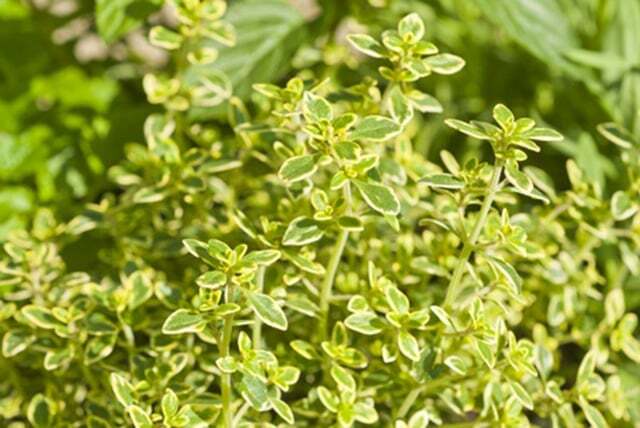 Hardy and tolerant of drier soils, this plant is popular due to its heady scent, and flavorful aromatics it lends to cooking. Rosemary does well through the winter, but in northern climes above zone 6, you may want to bring plants indoors if winters are harsh and have consistent deep freezes, and your plant is unprotected. Propagate new plants using growth from existing plants, or use seeds – although it’s much easier to grow from fresh cuttings. Personally, I love having a few of these plants mixed into containers around my yard. 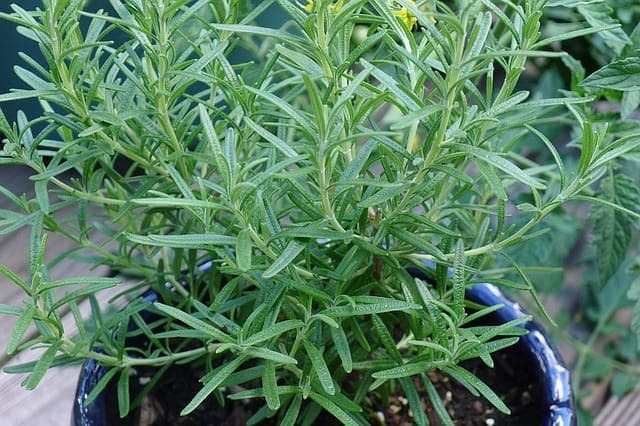 Their scent keeps insects at bay, and having a fresh supply of Rosemary to cook with and dry for the winter saves a lot of money since it’s a fairly costly herb to purchase. This garden favorite thrives in hot, sunny, dry climates once established and is a must for all garden enthusiasts. Fragrant foliage and summer blooms repel many types of insects, and harvested blooms can be easily dried and placed in closets, drawers, and linen cupboards to help keep moths, spiders, and other pesky nuisances away. Plus it makes your clothes smell great! Easy to propagate, I prefer my lavender in pots, although depending on the variety and your planting zone, you may want to plant yours directly in the ground. 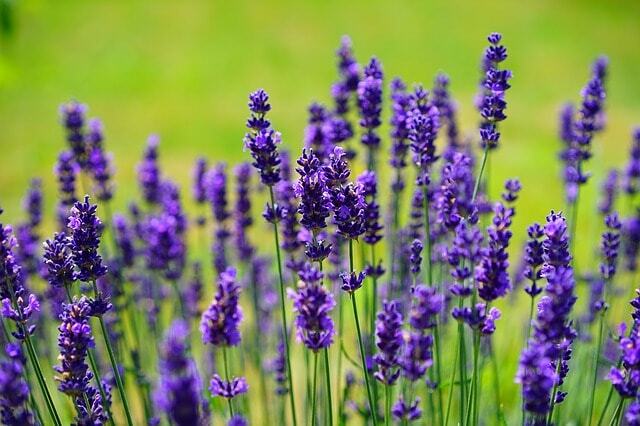 Lavender can grow into quite a large mound, and so ample space (4-5 feet) should be given for each plant. 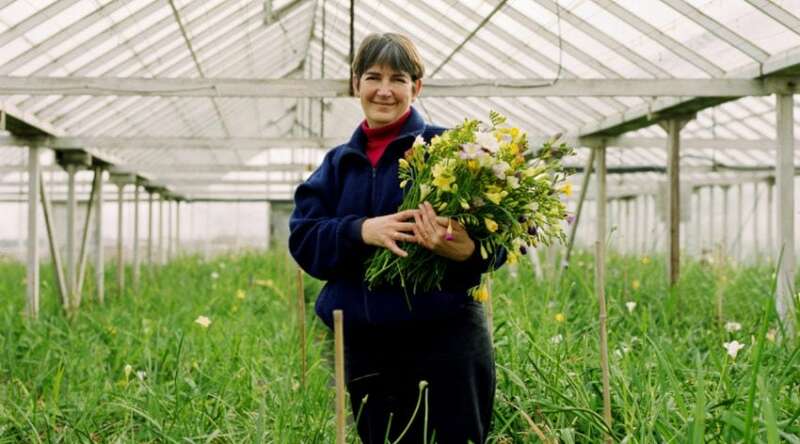 Although they will begin to produce flowers in its first year, it takes at least 3 years to get really established, and most plants will produce 1000 or more flower stems for you to harvest! Tough to kill, be sure not to allow good drainage, and even mix in some rock to your soil to allow roots to get a good amount of oxygen. My dog even laid in the middle of my plant at the height of the summer heat, and within a week new growth was beginning to fill in the broken stems, so don’t ever give up on these if they have taken a beating of some kind. 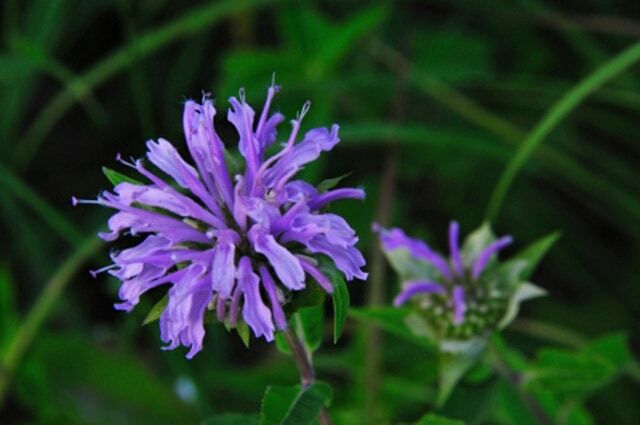 Also called Wild Bergamot, this attractive plant is tolerant of almost every soil type depending upon the variety. 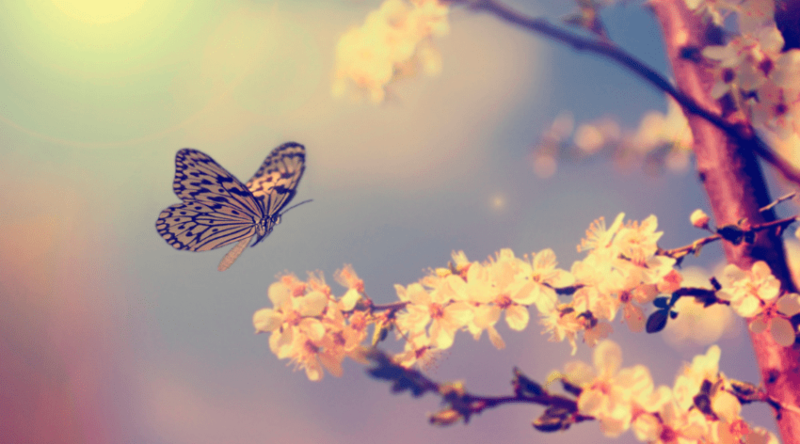 Late summer blooms not only repels mosquitoes, but they also attract butterflies, hummingbirds, and bees! An added benefit is the tea you can make using both leaves and flowers, as well as it’s many other medicinal properties. Preferring a sunny, to a partly shaded area, this is a plant that can become somewhat invasive once established, and so you should take care to separate the plant as it begins to die out on the inside. Cutting back during its dormancy also can help keep it within the boundaries you have set for it. Attractive and bright blooms begin early through mid-summer in pink, purple, white, and red hues. I love seeing their bright blooms poking through my perennial foliage, and let them grow at will. 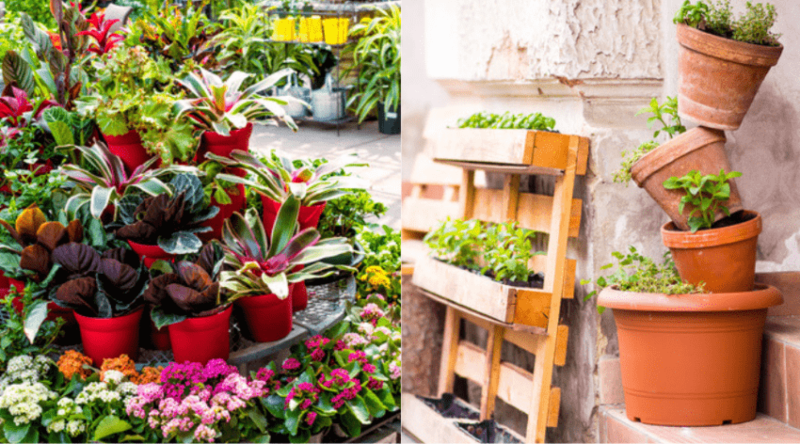 Some varieties can grow up to 4 feet, so be sure to plant the type you prefer for your space, and then sit back and enjoy mosquito free evenings! Both the annual and perennial versions of this North American native repel mosquitoes and many other critters considered a nuisance to your yard and garden. 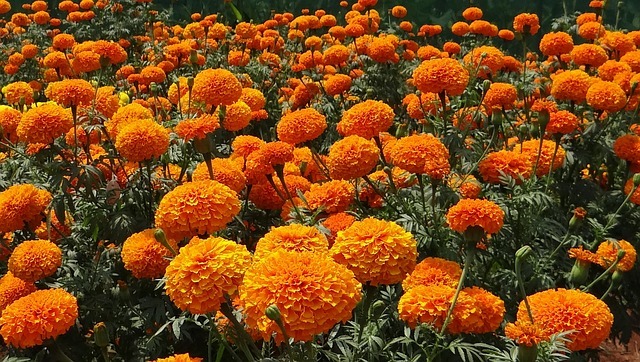 The most popular strains of these bright flowers are annuals, but depending on your climate, are often self-sowing and will come back year after year with no effort on your part. Because of their sunny yellow and orange blooms that continue spring through frost, these flowers have been a popular color choice for gardeners for many years- and have the added benefit of a strong fragrance that repels deer, rabbits, and practically every insect in existence. When planted as companion plants around your fruits and vegetables, you also have just created a natural insecticide barrier. If you want to be sure to have these little beauties where you want them from one year to the next, simply collect the seed heads after the flowers are spent, and start them indoors in a sunny spot before transplanting after your last frost, or simply sow them directly into your garden. This hardy, a rapid grower can quickly take over your garden through self-pollinating runners, so be sure to keep it contained! The effort is well worth it however as this fragrant plant does much more than keep mosquitoes away. 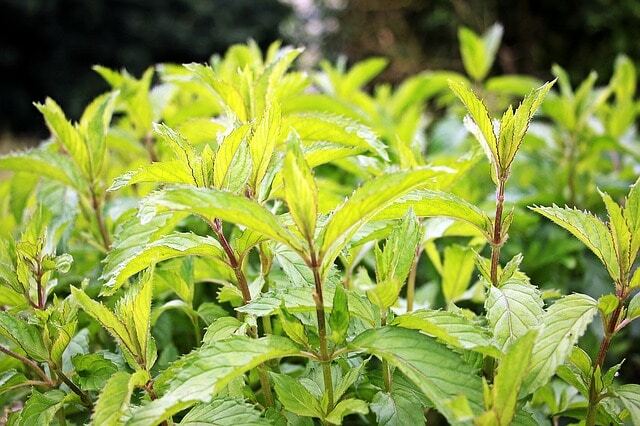 Also popular to repel spiders- peppermint can be used in teas and cooking and has been used as a digestive aid for thousands of years. Runners are easy to spot, but quickly propagate, so be sure to dig them up, or cut them before they take hold. If you aren’t interested in having them in pots, using simple garden edging, or bricks to slow down it’s spread is recommended. Used fresh, dried, or pressed for oil-, peppermint is versatile in its many uses. I personally keep a large clump growing near my porch door to repel insects, use fresh cuttings in both cold and hot teas, use dried for lamb and pork recipes, and keep oil on hand for tummy troubles when fresh cuttings aren’t available. This plant will have the best lemony smell of anything you have growing in your garden. Winter hardy only through zone 8, you may want to keep this plant in a container and bring it in before your first frost to allow it to go dormant, but not die out completely. Leaves also have such a strong lemon flavor, that it is often used to replace actual lemon in many recipes and drinks. Best started from cuttings, in tropical zones these plants can grow to 14 feet or more, but often stay much smaller in temperate zones where they need a cool, but not freezing, a dormant season before sending out new growth. It’s these lemon scents that help repel mosquitoes, making this the perfect container plant for your outdoor sitting areas. If you are lucky enough to live in a tropical zone, plant these along with a fence or trellis as they grow to cover more area, and enjoy their lemony fragrance, and ‘whine’ free zones! 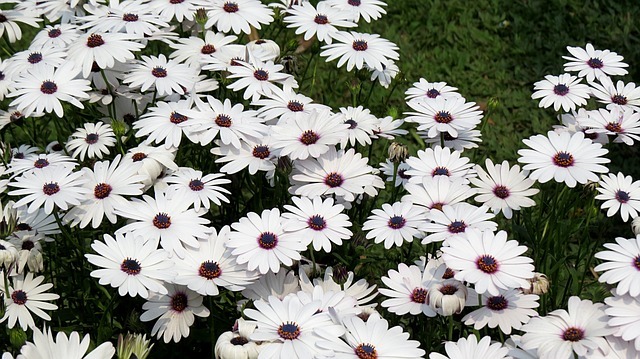 These little, cheerful daisy-like flowers are a happy addition to any garden and also has a variety of uses as well. Small and compact, it’s easy to find space to plant a few of these amongst your existing plants to add a bit of summer and fall color, as well as to help rid your garden of mosquitoes, which are repelled by their fragrance and presence of pyrethrum oils. 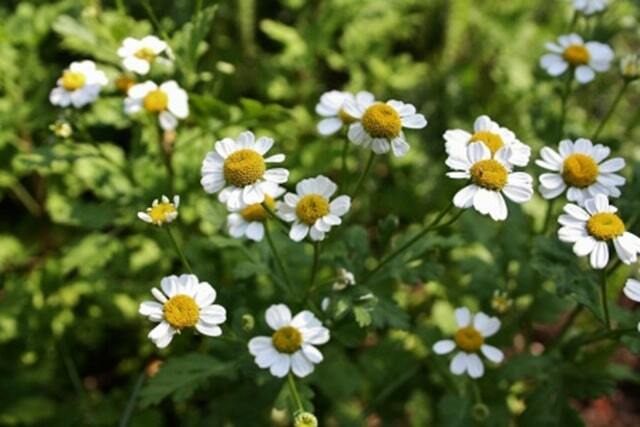 Used for centuries medicinally, feverfew is also a popular herb to relieve migraine symptoms. Although it can be ingested, usually as a tea, care should always be taken to consult a doctor before introducing it into your diet. Depending on your growing zone, these pretty little flowers may act like an annual, but are self-sowing and will come back year after year in any zone if the seeds are allowed to drop. They also are incredibly hardy, and fairly frost tolerant in sunny locations, putting out blooms well into late fall and early winter in mild-climates, making them an ideal container plant. The long-lasting blooms typically come in blue and purple shades but have been cultivated to show pinks, reds, and even whites. Plant in containers with other sun-lovers, or amongst your perennial gardens for a splash of color later in the season. Because of their strong fragrance, they repel mosquitoes and biting flies, but a note of caution, they also have spiny stems and leaves, which act as an irritant and can cause an allergic reaction in some people. A native to the western states, this evergreen shrub is found growing in the wild through the at 3500 feet and above and is easy to propagate in your garden given the correct conditions. Partial to rocky, well-drained soils, snowbrush does best in sunny locations and blooms beautiful white clusters of flowers spring through late summer. Easily propagated from both wild cuttings and treated seeds, snowbrush can grow either as a woody shrub or be trained to have a trailing effect. Both flowers and foliage give off a sticky, sweet balsam aroma which repels many biting insects, and also keep deer and rabbit at bay. Despite its growing preferences, this shrub is very tolerant of a variety of soil types and can be grown almost anywhere, creating a beautiful backdrop to your yard edge, or mixed in with other border shrubs. 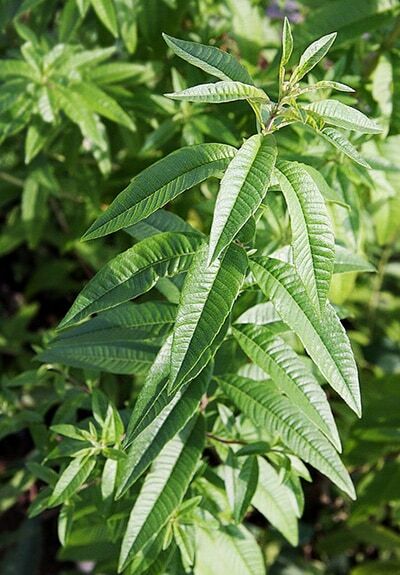 A highly potent plant, the use of anything other than as a decorative plant to help repel mosquitoes, ants, gnats, and fleas should be done with caution. I should note, however, that using fresh cuttings in pockets and in hat brims is most effective in keeping nasty hitting bugs away, and is completely safe as long as the plant, or plant oils, are not ingested unless under the supervision of a doctor. 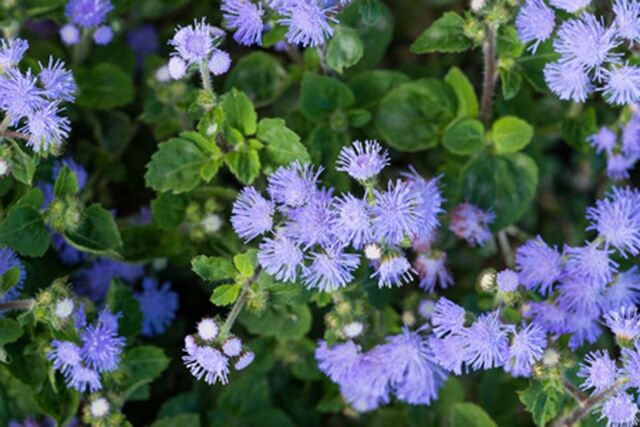 Used along walkways, house entrances and foundations, and near pet quarters- when pennyroyal is stepped on or brushed against it will send up fresh bursts of scent that staves off the worst of our annoying insects as well as mice. As an insect deterrent, these low growing plants can be extremely helpful in the vegetable garden as well, and wards off many types of beetles that will quickly decimate your crops. Simply plant under or around susceptible plants to keep them pest free, but be sure to either transplant them into a container for the winter or rip them up to replant in the spring as they are in the mint family can become invasive if not kept in check. Used fresh in cuttings, dried, or in oils, thyme contains a toxic aroma to many insects and is beneficial to use as a natural insecticide. 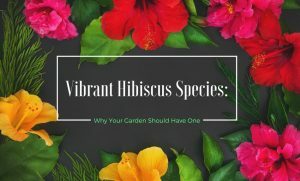 These properties also make it a popular plant to have around roses and other blooming perennials that have a tendency to attract destructive bugs. Sporting a small attractive flower, thyme is worth having within your garden beds to deter insects, and to reap the natural relaxing and detoxifying properties it also contains. Often thought of as a tropical plant, these North American natives can be found growing from Canada all the way to Texas, and with the correct soils, make a beautiful, albeit deadly addition to your garden. Blooms arrive in spring before sending up colorful pitchers that last through the growing season. 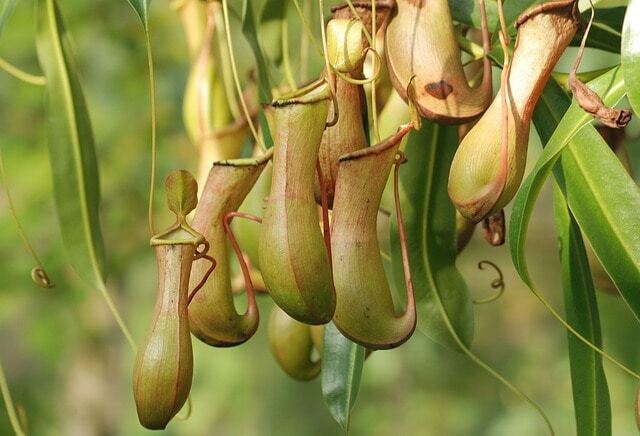 It’s these pitchers that send up a sweet smell that attracts insects and lures them to their death. Wet feet in sandy soils, dry stems, and lots of sunlight are a must to be successful in growing these plants, but once established should be pretty much left alone to do its thing. They are self-fertilizing and should be left out of your fertilization schedule as well since this mistake is what often kills off a mature plant. The pitcher plant doesn’t exactly repel mosquitoes, but it will digest the occasional mosquito, as well as many other bothersome insects- and is fun and colorful to have around for garden variety. 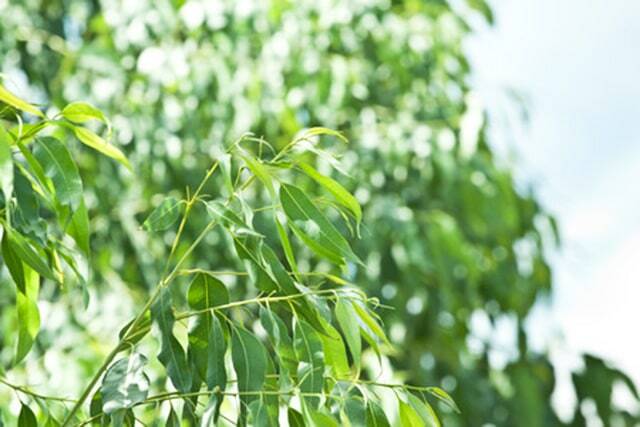 Part of the eucalyptus family, the cadaga tree is a native to Australia and does best when grown in zones 9-11. 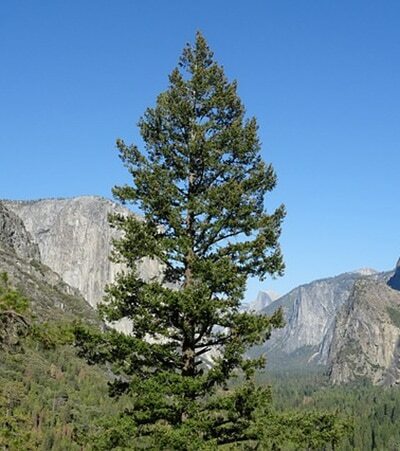 Tolerant of frosts, this particular tree can become invasive in the correct environment, so growing in a contained area is suggested as it can reach upwards of 40 feet. As with other members of this plant family, the oils found in this vegetation are highly effective in its use against biting insects, and when placed in community areas will aid in keeping an area clear of mosquitoes. It also is a very interesting plant to look at, putting forth soft red leaves in the summer as new growth, and has a peeling bark that increases in interest as the tree ages. Not to be confused with a true cedar native to parts of Asia, incense cedar is a western North American native evergreen that can grow to heights of 100 feet. One of my favorite scents, incense cedar is named such due to its fragrant fan-like needles. These are a popular tree to plant for shade and windbreaks and are easy to keep trimmed and shaped as well for decorative use. Slow growing, trees only put on approximately 6 inches a growth for its first 10 years until root systems are established, but can grow to 5 feet in width quickly- hence its popularity as a privacy screen when planted together. Added benefits come from its spicy fragrance, long popular with woodworkers for its natural insect repellent and decay resistance. When planted as a hedge, or yard border, you have the extra protection against wood boring insects, as well as many biting insects as well. A tropical plant, lemongrass does best when grown indoors or transplanted outdoors after the last frost. 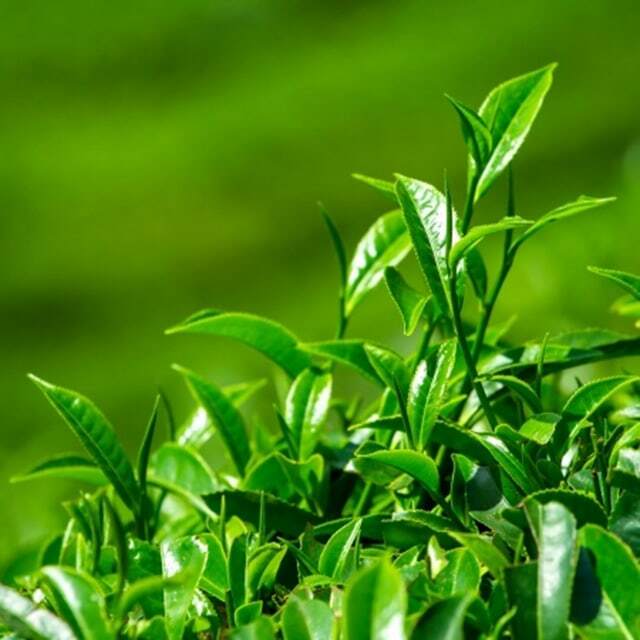 Considered mature at 4 to 8 months of age, the plant can be harvested every 3 to 4 months by cutting the stalks and using both fresh and dried in teas. New plants are easy to grow by removing new stalks and putting them in water until new roots form. Because of its high level of citral, the oils used to repel insects, both the fresh plant, as well as the oils, are effective in using as a natural insect repellent. Oils should be avoided by children, however, as they are often too strong for sensitive skins. Another perk to this plant is it’s used for flavoring rice, stir-fries, soups, and smoothies while fresh. And since it grows well indoors, you can have a fresh, green element year round in your kitchen! Whereas some plants repel unwanted pests naturally, others need to be harvested and dried to get the most out of them. Drying herbs and grasses is a simple process and doesn’t require anything but a pair of scissors, a little bit of string, a paper bag, and someplace to hang your plants. You can also dry your herbs on a screen, in a dehydrator, in the oven, and even in the microwave – but most herbs and grasses have very little moisture to begin with so hanging them is the best way to ensure their color and oils aren’t lost through the drying process. For best results, be sure to harvest in the morning after the dew has dried, but before the sun burns off any newly formed essential oils. The following are a list of plants best used when dried to help repel those annoying mosquitoes. No, not the kind of weed that you’d use your weed wacker for. Also called wild chamomile, a low growing wild plant is native throughout the world and has been used medicinally, as a preservative, and as a repellent for countless years. Mostly found in arid southwestern areas in compacted soil and away from perennial competition, this little plant can be cultivated from its petal-less flowerheads and planted where you can get at them easily for harvest. 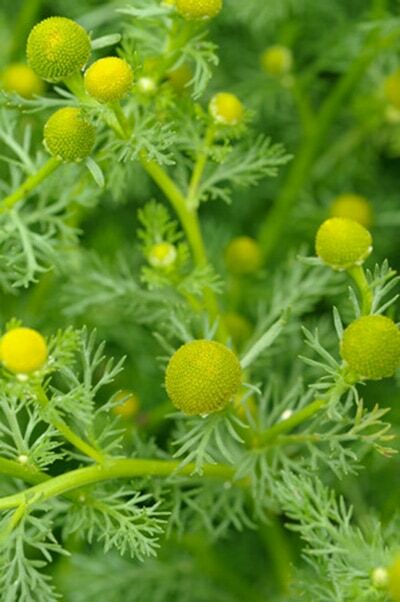 Good to seep into teas fresh, once dried, the pineapple weed can be crushed and rubbed into your clothing, or hung in areas likely to draw insects to help repel them. Fresh plants can also be rubbed on your skin. Another native plant, the sweet fern is found along the eastern coastal states, north into Canada, and into the Mid-west. 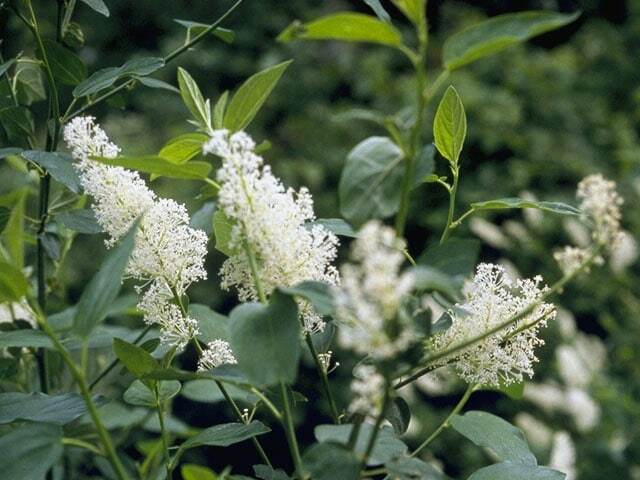 It is a small shrub that can reach 5 feet in height, and spreads underground through its root system in poor soils, making it a popular contender for commercial nursery sales. The leaves have a sweet smell, hence it’s named, and when dried has historically been used in teas as well as for stomach troubles. My favorite use of it is when dried and bundled into a tight ‘smudge-like stick’, sweet fern can also be burned to help repel mosquitoes. Simply bundle tightly with thread after drying and place on a non-flammable surface. Once lit, it should burn slowly, releasing a fragrant and steady stream of smoke. 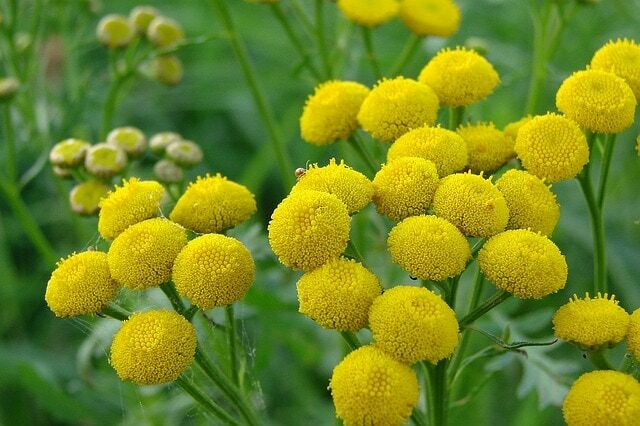 Although tansy is a pretty and easy to grow a plant, it can be toxic when consumed in large quantities, and reports of livestock animals ingesting the plant and falling ill, or even dying, have been reported. If you are growing tansy be sure to keep it in a contained area as it spreads easily and rapidly through its roots, and that your livestock cannot get at it. Despite the warnings, it is a nice plant to have, especially to harvest for homemade insect repellents. Although fresh leaves can be used for this recipe, dried leaves create a more potent spray since the oils will be more concentrated. The concoction is easy enough and requires steeping the plant in hot water before cooling and straining and placing in a spray bottle. When using to spray in plants use a little oil soap so it adheres to the plant. When using on yourself, spray your skin and clothes as you would with any other type of OTC insect repellent. Plus it smells so much better! 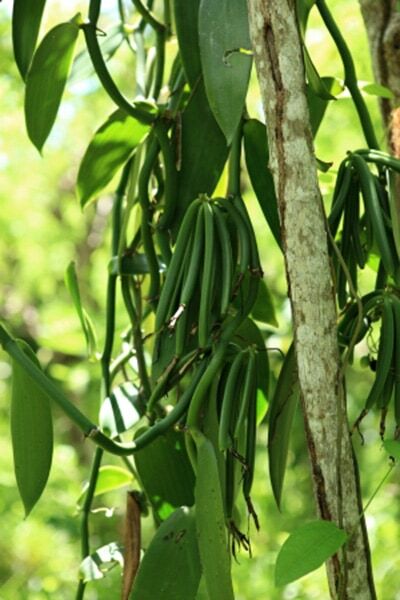 Vanilla leaf is very particular about its growing habitats and is found as a native plant along the northwestern Pacific coast in moist soils in shady areas. Once established they can tolerate drought conditions, but cultivating them in a garden hasn’t been met with much success. Luckily, these plants can be found in abundance and harvested spring through fall in its native setting. Popular in tea due to its vanilla aroma, when dried in a dehydrator will fill your house with the heady scent of vanilla, and repel insects as well. 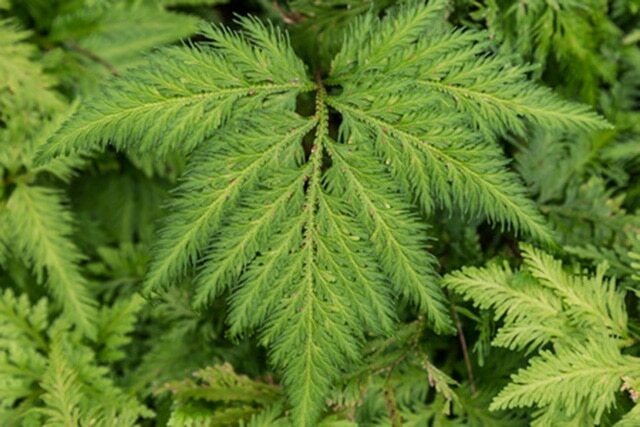 Although you can rub the fresh leaves on your skin to help as a natural insecticide when dried and bundled it serves as an effective smudge stick, similar to sweet fern. Known worldwide as absinthe, this plant has a historical significance in medicine dating back over 3000 years. Traditionally used for stomach ailments, once dried and stored properly it is used in small, controlled amounts to for a variety of different discomforts. 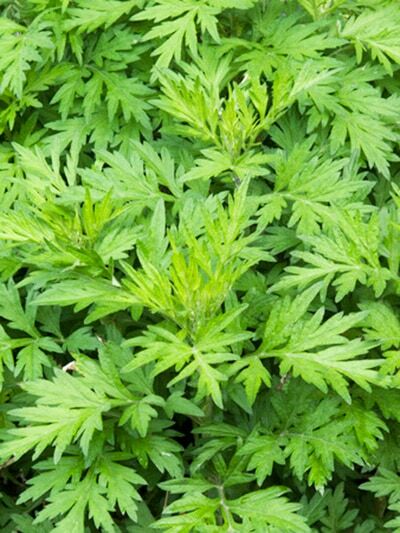 Wormwood is easy to grow and is a beneficial plant to have in your garden. The leaves contain the resinous particles which can be used as a natural insecticide. When dried, bundles of the herb can be placed in doorways, closets, etc – or even worn on hat brims or in pockets to help ward off the whine of mosquitoes. Despite its many uses, only external applications are without caution. 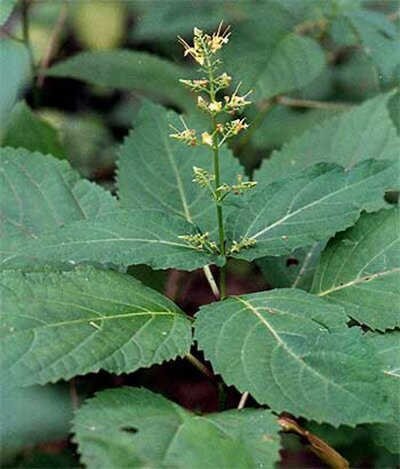 If using this plant in anyway oanother way be sure to both consult an herbalist and doctor to avoid any side effects. Even though all of the plants listed in this article are somewhat effective in helping keep mosquitoes away, when extracted for oils they become much more potent. The plants listed below need a release of oils in order to work at all in repelling mosquitoes. As with drying techniques, be sure to harvest your plants at the optimum time to get the most oil out of your plants. Some of the plants listed only need to be crushed in your hands to release the oils and be rubbed into your skin, but if you are looking for more long-term effects, or want to optimize on all your plant has to offer, follow the link below to extract your own oils. Primitive oil extraction is not as difficult as it sounds, and you can easily complete the process with little fuss. Please note that by using the linked methods you will not be getting 100% pure oils and they should not be ingested. But they are perfect to use in homemade insect sprays and certain topical applications. Grown just like it’s ‘big brother’ thyme mentioned above, lemon thyme has a light citrus flavor, and sometimes benefits from being grown indoors in a container despite being hardy to zone 5. Useful in many recipes, lemon thyme is popular for its subtle flavors with chicken and pork, and should be harvested regularly to encourage new growth. Alone, lemon thyme is not a good insect repellent, and the oils of the plant can be rubbed onto your skin after picking and bruising the leaves in your hands to release the insecticidal properties. On it’s own, this is a quick relief, but to make it more effective, extract the oils and mix with others into a spray. Eucalyptus and Catnip are two choices that have shown to be effective with lemon thyme, and when mixed into a coconut, or soybean oil base, extend the life of the repellent. Citronella plants are native to Southern Asia, and are commonly grown in frost-free zones within the United States as ornamentals. Once mistaken to create mosquito free zones wherever planted, studies eventually proved it was only the oils from the plant, not the actual plant itself, that proved effective in warding off biting insects. 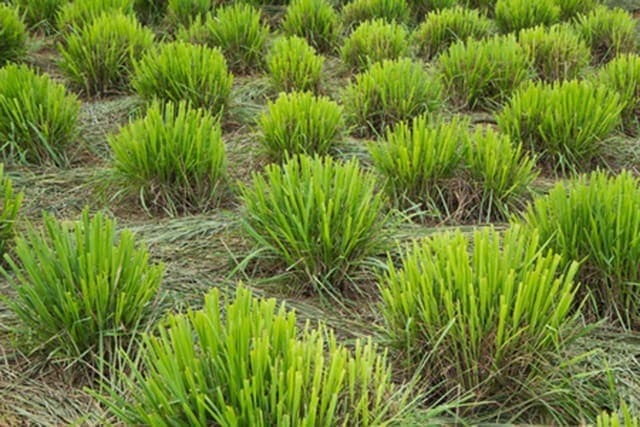 A large grass, it can also be planted in a container and brought in when no fear of frost is present. Since it is an ornamental plant, its aesthetic properties only compliment the mosquito warding efficiency it holds within its leaves. Breaking off a frond and rubbing it on your skin can give you a few hours of relief. If you are looking for something stronger, extracting the oils and mixing it with vanillin (extract from the vanilla bean) provides long term relief comparable to deet. Furthermore, the oil also has antibacterial and antifungal properties, making this a worthwhile plant to have around! Scented geraniums are part of the ‘window-box’ variety that we plant in our porch containers and summer gardens. Often, when we find one we truly like we can overwinter it in a sunny window, but generally these hybridized aromatics die out with the first frost. A joy to grow, these scented varieties are also popular to dry for potpourris, seeped in bath waters, or even use in baking, jams, and jellies! 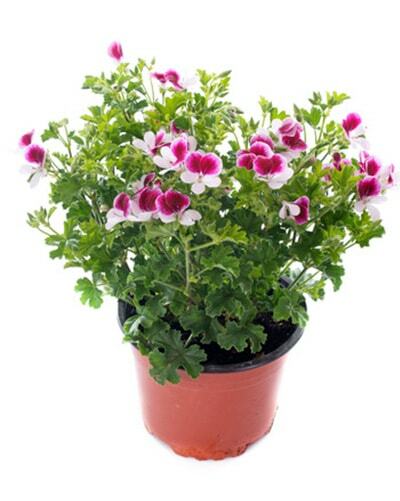 There are many varieties of scented geraniums, and no few than 6 lemon scented choices to pick from- although the citronella variety quickly became the most popular during the 1980’s due to a horticulturalist’s claims to have engineered a mosquito repelling geranium through genetic modification of a rose-scented geranium and citronella grass. His selling point was that when placed around a property it would repel mosquitoes. After a decade of popularity, and little proof of it’s effectiveness, some scientists stepped in to examine these claims. Alas, this wasn’t to be so, BUT what was created was a citronella scented plant, that, when crushed and rubbed on your skin, not only smells great, but does aid somewhat in helping to repel mosquitoes. 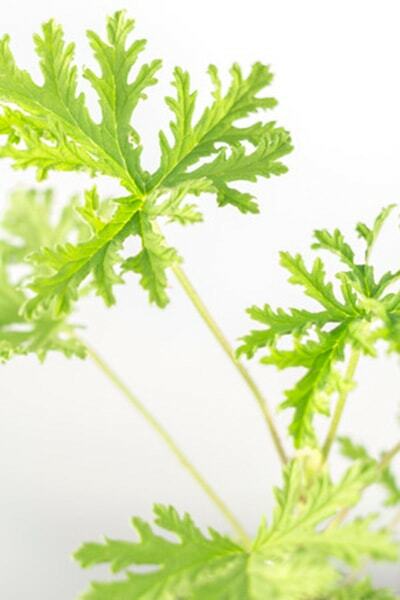 Further studies revealed that all lemon scented geraniums contained a small percentage of citronella oils, and that all were mildly effective in staving off insect bites for a few hours when rubbed on the skin, so in the end, it wasn’t a total loss of marketing! 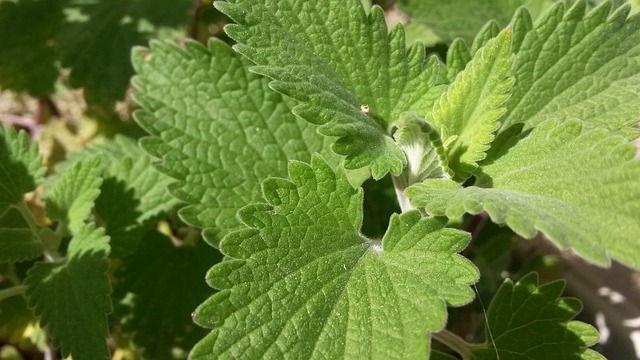 Because of it’s chemical compounds, which include citronella, catmint has a mildly sedative effect, and has been used medicinally for cold and flu remedies. Steeped into a tea it also aids in digestion and relieves bronchial problems. Furthermore, extracted oils have proven to be ten times more effective at repelling mosquitoes than DEET. These easy to grow , drought-tolerant, heat- tolerant, and long -blooming perennials come in a variety of heights and colors, as well as having a showy silvery, green foliage. Once they have bloomed, if they are cut back ⅓ of the stems, you will encourage another flush of blooms later in the summer. Beware though, they aren’t called catmint for nothing! Not quite as enticing as catnip, young plants should be covered with a wire dome as felines will roll in it! 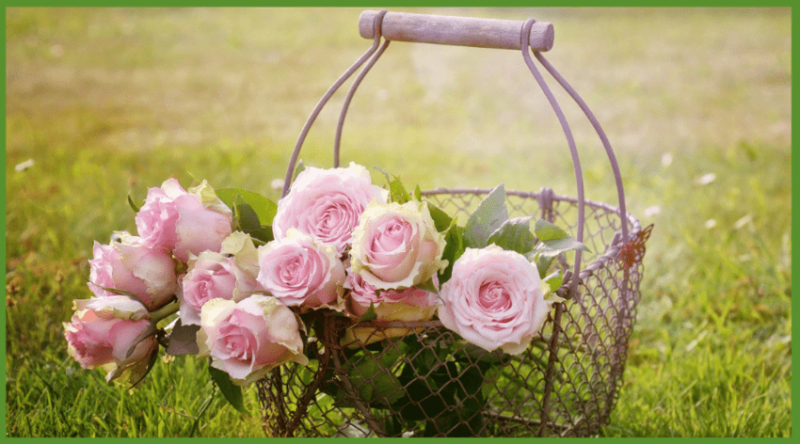 Perfect to grow in tandem with roses, it covers bare rose stems perfectly without the finickiness of many other types of companion plantings. Overall this is a must-have plant for your garden for a variety of winning reasons. Like most bulbs, garlic needs to be planted in the fall after the first frost to ensure a healthy crop the following summer. Be sure to harvest, cure, and dry correctly to ensure long storage life, leaving it’s papery covering on to keep both rot and sprouting away. 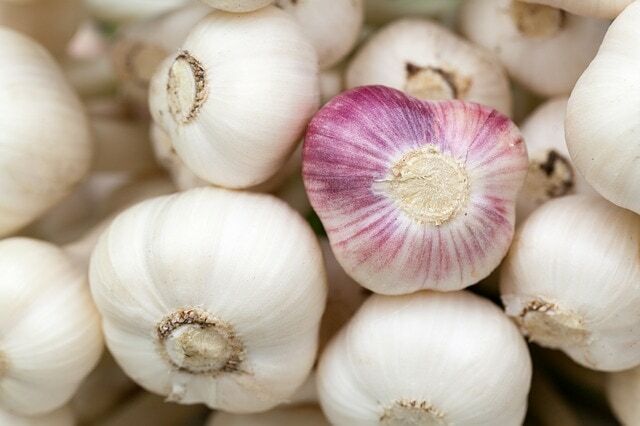 Garlic is considered one of the world’s most healthy foods, and contains high amounts of essential vitamins, aides in heart health, has anti-inflammatory properties, and lowers blood pressure, to name a few. If these aren’t enough reason to have them as a staple in your garden, then consider that squeezing and rubbing the juice on your skin will also keep mosquitoes far away for the better part of an hour (and possibly everything else). This Australian native is closely related to the earlier mentioned cadaga tree, but can grow more than twice asb large in a tropical environment, occasionally reaching 130 feet in height. Because of this a variety of species that do better in pots and are fairly easy to care for. Famous for their silver-dollar foliage and heady scent, eucalyptus trees conjures up images of the Australian outback, fuzzy koala bears, and kangaroos, but this tree is much more beneficial that a series of happy media images. 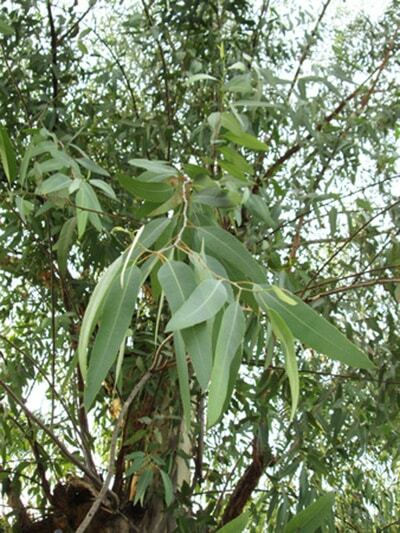 Eucalyptus oil is derived from the leaves, and has a multitude of health benefits, is often found in mouthwashes, dental solvents, cough lozenges, and decongestants. But most important to this article is that the U.S. officially registered it as an insecticide and miticide in 1948. As effective as DEET, or even more so, eucalyptus oil should be applied consistently to maintain protection. If you should get a bit using this oil, it doubles as an antibacterial agent and will help keep swelling to a minimum. 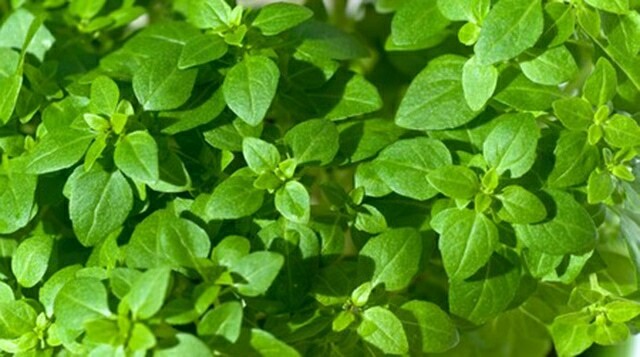 A variety of mints have been discussed previously in this article, but not in relation to the added benefits of using mentha as an oil. 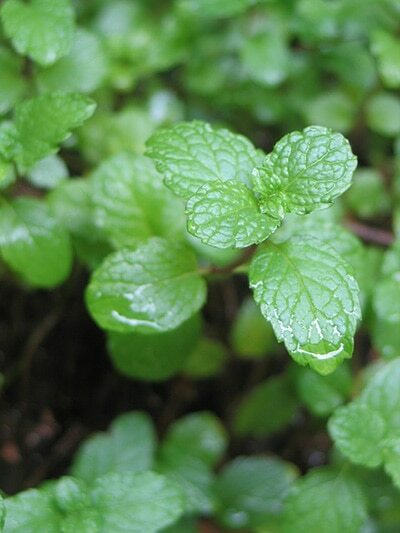 When people hear about mint, they often automatically think peppermint, but as seen above, many plants are part of the mint family- and gardeners have a choice of the fragrances they would like to smell in their gardens. All mints are aromatic either fresh or dried, but the extraction of their oil really brings about their true properties, and potency. The health benefits of mint add up quickly; everything from curing hiccups to boosting memory has been attributed to this bountiful plant through using fresh leaves in cooking, to distilling oils into topical ointments. Many recipes using mint around the house are also in existence. 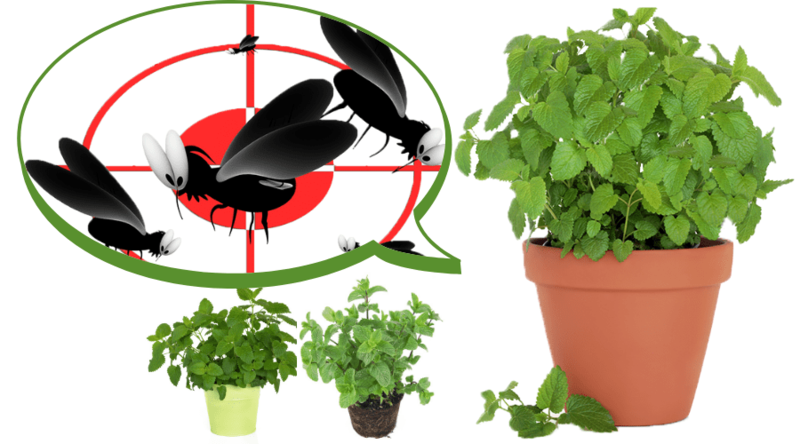 MInt oils are incredibly effective to help repel insects around the house, and as a natural insecticide and mosquito spray. SImply mixing oils with a carrier oil (such as grapeseed oil) and water and sprayed around the house will repel a variety of insects. Rubbed into your skin it is also very effective in keeping off mosquitoes. A few discrepancies exist concerning the native habitat of this particular plant, but research has shown that it has shown up historically throughout Canada, through the Great Lakes region, and well into the northern regions of the Southern states. 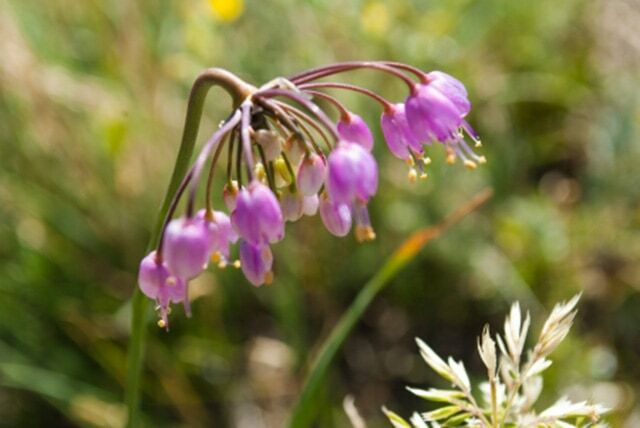 Most likely cultivated by early settlers, it can nosw be found throughout the Western states as well. Although it has similar properties to garlic, this wild onion isn’t often gathered for cooking anymore due to its strong flavors. When pressed for both juice and oils, this plant can be effective in repelling mosquitoes when rubbed on the skin. Almost identical chemically to catmint, catnip isn’t of the same ornamental value of catmint due to hybridization, but does attract cats much more readily. Once believed to draw in cats to keep rodents away, European farmers planted catnip around the foundations of both house and barn. But catnip did muchybh more than attract local kitties- catnip repels termites and cockroaches, two other nuisances definitely not welcome in any home, and these boundaries of plants helped to keep a tidy home. Like catmint, extracted oil is incredibly effective as a mosquito deterrent, and as a natural remedy is worth the effort it takes to extract the plants oils. Also known as a hybridized painted daisy, this non-native perennial looks like a harmless flower, but hides an important secret. Originally white, these flowers are grown and harvested for their toxic properties used in pest control. There are many commercialized versions of pyrethrum available, and has been deemed one of the most effective insecticide available. However, using this topically is definitely a no-no as toxicology reports have shown data that there may be negative human effects through skin contact, so the handling of extracted pyrethrum should be done with care, and should not be used on the skin. Instead, a misting spray used once or twice a day has proven to be effective in managing lingering mosquitoes in your yard. Home production is as simple as soaking the flowerheads in warm water for a few hours to create a spray toxic to all insects in comes in contact with, including beneficial pollinators. Sprayed around windows and doors can help in keeping mosquitos away, but be sure not in inhale the mist as you spray. Found natively within the eastern states, stone root can be cultivated within the garden as long as it has a moist, acidic environment. 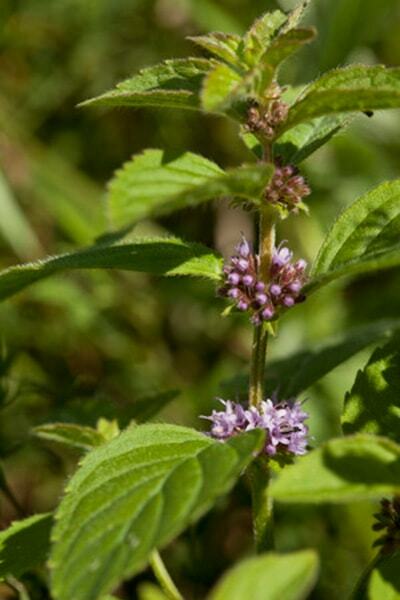 Due to its mint properties, stone root oil can be extracted from leaves and used as a spray to repel mosquitoes. 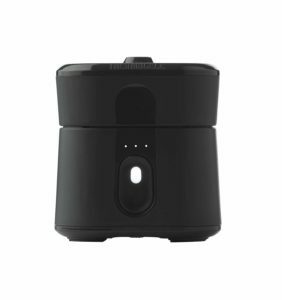 Like the rest of it’s family, it doesn’t have any warnings concerning topical applications, and both leaves and oils can be rubbed into the skin. Tea trees are incredibly easy to cultivate within a container, and are favorites of greenhouse enthusiasts. Easy to grow and prune, this fast growing tree can be cut back to keep small, or let loose to grow as large as you will allow. The only major catch is to allow this tree to have a lot of water and not be allowed to dry greenout. It is an ideal plant for self-watering containers, and is very forgiving of overwatering. Evergreen needle striations and variable flower colors, combined with an interesting, papery bark, creates a favorable interest to add to your indoor plants. But the interest shouldn’t end there. Harvesting a select number of needles to soak in either water or a carrier oil will produce a lovely insecticidal spray. Or if you like, you can skim off the oils to take advantage of their antiseptic, antifungal, antiviral, and antibacterial properties to use in household cleaning solutions and topical ointments. Tea Tree oil is especially useful as a natural bug spray, and once sprayed on should be rubbed into your skin, as well as sprayed onto your clothes for maximum effectiveness. If you do happen to get bit, apply the oil directly to the bite for immediate relief. Hopefully, this list has exhausted the many uses of the many plants you possibly already have, or have been thinking of planting in your yard space. But more importantly, your brain should be flooded with all-natural mosquito repellents, and their effectiveness at keeping those whiney little insects at bay. Everything from specific groupings of plants, to hanging dried sprigs, and oil extraction makes living pest free this summer a possibility. I’ve already had very little interference from biting winged insects after some strategically placed plants and oils are used in tandem. So experiment away and share your experiences with what works, and what doesn’t’ below! Questions? Feel free to ask, and as always, share this article to help spread the word! I can’t tell you how helpful this article has been. Thank you! I’m wondering if you can recommend one or two especially effective mosquito-repelling plants for our specific circumstances. My wife, Kim, and I live in Central Florida (Zone 9) and live literally on the edge of a nature reserve — we’ve come to think of it as our own rainforest. We have a pool that’s lushly planted around the edges, and designed to look as though we’ve brought the jungle inside the pool screen…but of course with the plants come mosquitos. Are there specific plants we can add to the beautiful cacophony inside the screen to at least decrease the mosquito population that is feasting on us and our cats? Hi! Citronella has been around for ages and is well known as a mosquito beater, but is there any real research behind any of these other plants you are saying ward off mosquitoes? Anything you can quote from a university?